Moldova is the least visited European country. So they lack tourist attractions. Though Moldova is rich in its history and tradition; it is very poor in tourism strategy and promotion. Moldova offers a lot in its own right way. First it’s remote and rarely visited country making it perfect for adventurers who want to blaze a trail. Second it has a growing wine tourism industry and those who knows wines known that some of the best in Europe come from Moldova. Moldova is a perfect destination for people who are seeking solitude and adventure. Moldova being a remote country, so a stone is yet to be unturned. There are various places to visit in Moldova especially the picturesque views and a variety of landscapes which include river and valleys alike. Moldovan people are very friendly even though they might be cold in the beginning, but once you get to know some of them you’ll see that they are very cheerful and like to dance much more than other Eastern European people. Moldovan girls are the most beautiful girls in the world. Chisinau is a friendly place with beautiful parks, nature and lots of green space. There are lots of restaurants, bars, nightclubs, spas and casinos. Don’t miss out the Pushkin Park and the Orange Pyramid at the World War II memorial. You’ll find marvellous frescoes in the Nativity cathedral .When visiting Chisinau do as the locals do and start your day with a coffee and a glass of local Kvint cognac. After your coffee you have no other choice than exploring the city by foot. Tipova Monastery is situated in a remote area, but the scenic beauty makes up for it. Located in one of the most beautiful places in the country, the monastery has three complexes which were dug out from the rocks on the banks of Nistru River. The churches were built between 11th and 14th century. It is believed that the complexes have originally served as a refuge place for Christians trying to hide from the Tartars during their invasion in the 13th century. Apart from the beauty of the monastery, visitors are attracted by the amazing landscapes around the place. 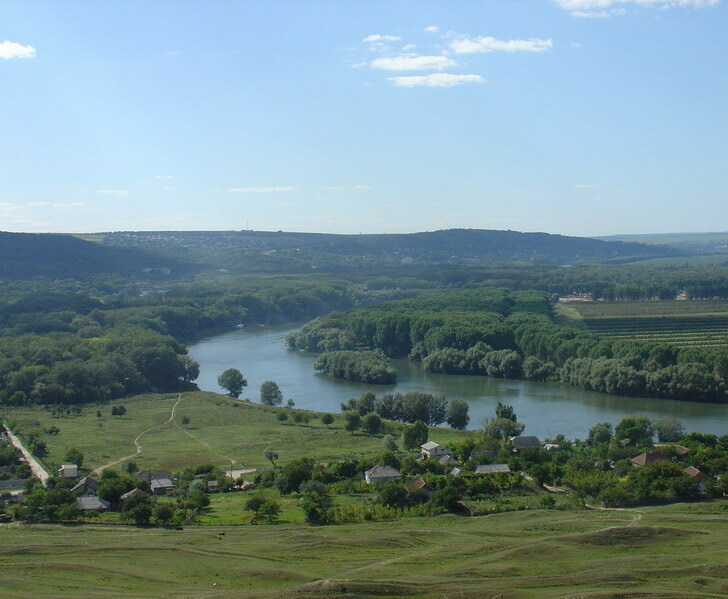 The combination of rivers, forest, cliffs, waterfalls and hills creates a unique Moldovan charm together with its local culture and mild climate. Festivals in Moldova not to miss: when we travel we like to make sure our trips are larger than life and bigger than grand plans. There’s no better way to do so than loving it up at a festival. Some of the festivals have been listed to chart out your travel plans. GUSTAR is an ethno music festival. The citizen of Moldova and foreign tourists gather for a multicultural dialogue. People call it Gustar, archaic word that symbolizes the month when most of the fruits including grapes are ripen and tasted. You will have a chance to spend a weekend in nature, taste delicious traditional meals and enjoy amazing ethno music. Velo Hora: it’s a goal to unite people on bicycles, promoting a healthy and active lifestyle changing drivers attitude towards cyclists. There have family friendly games and activities to enjoy, including an open air concert in the square. The festival draws its name from Hora, a traditional Moldovan circle dance symbolizing unity. Wine Day: try different types of wine and liquor, enjoy traditional food, meet people, engage in a traditional Hora and have a whole Moldovan cultural experience. Don’t forget to spoil yourself and buy a bottle of Moldovan Wine. Martisor is one of the biggest musical celebrations in Moldova. During these ten days you can feel the music vibrations in the air. The concert halls from Chisinau and other cities host over 40 concerts. Martisor is a music festival with most varied folklore and symphony music, theatre and chamber companies, even modern music. It gathers artists from many countries. Breathtaking landscape: Moldova has some pretty bad roads but there are some really amazing landscapes you can see while travelling around. Moldova is a hilly country with lush green forest. The autumn is especially beautiful when the forest get golden red. Moldova nature is really amazing with stunning sceneries. The weirdest tourist attraction: Moldova is probably the poorest country in Europe. It is surprising when you see a bunch of rich people flaunting their wealth in the town of Soroca. They have built some astonishing houses that are a replica of some of the national landmarks like Peter’s Basilica and the Bolshoi theatre. This town is known as Gypsy Hill and is becoming a hot tourist attraction with tourists from around the world coming to admire this replica town. Stefan Cel Mare Park: if you wish to spend some lonely time anywhere then this place is the best one. The park is very big and there are many sitting areas. You can sit here quietly for a moment. Apart from this there are some eating places inside the park that serves tasty delicious snacks. If you wish you can avail such food. During the night this park is beautifully decorated. Incredible food and hospitality: “Al Mancat? Vine, Maninca is some of the first Romanian words one will learn when visiting Moldova. Did you eat, come eat. Although the dishes vary as far as culinary style is concerned the grand Hospitality and sense of welcoming the food is served never changes. Moldova is known for its vibrant nightlife which is filled with numerous bars and clubs. The Republic of Moldova is an ideal place for the ones who seek to enjoy an active nightlife. Party ZAN Game Club, Kira Club, Mojitos, Sky bar, Barbar, Korova, Piano Bar, Tap Room 27, Black Rabbit Gastro barrow And Toast Cafe. If you are on a budget, come to Moldova. Here you can afford to have a good time. Food, wine, bar hopping and taxis are cheap.